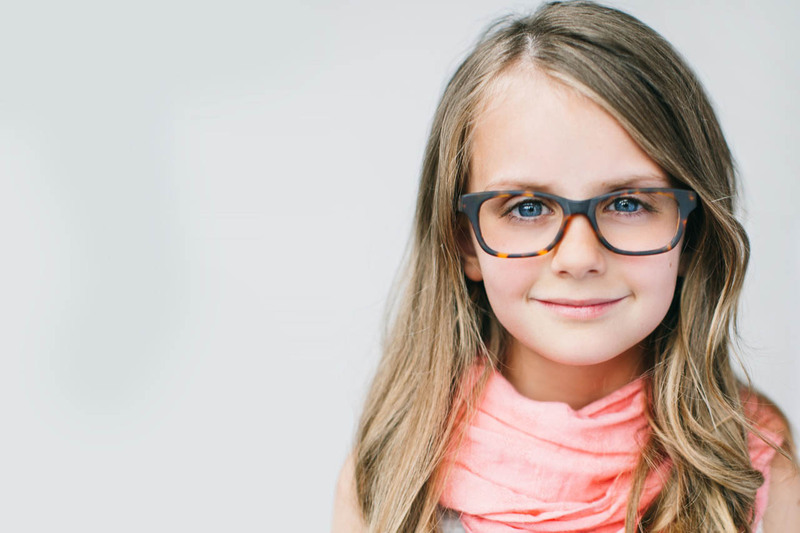 Healthy eyes and good vision are essential for your child’s growth and development. In fact, learning is 80% visual, which means a child’s success in school, athletics and many other aspects of life can be impacted by poor vision. Good vision goes beyond how far you can see, and also includes a number of other skills such as visual processing and eye movement abilities. Often times vision deficiencies are at the root of learning problems and behavioral issues and may unfortunately go unchecked and misdiagnosed. Remember, if your child is having trouble in school, an eye exam and a pair of prescription glasses is a much easier solution than treating a learning disorder or ADHD; yet many people fail to check that first. Another issue is that many parents and teachers think that a school vision screening is sufficient to assess a child’s vision, so if that test comes back okay, they believe there is no vision problem. This however, is far from the case. A school vision test usually only assesses visual acuity for distance vision or how far a child can see. Even a child with 20/20 vision can have significant vision problems that prevent them from seeing, reading and processing visual information. Every child of school age should have comprehensive eye and vision exams on a regular, yearly basis to assess their eye and vision health, and ensure that any issues are addressed as soon as possible. It’s also important to have an exam prior to entering kindergarten, as undetected lazy eye may be more complicated to treat past seven years of age. Some of the issues the eye doctor may look for, in addition to good visual acuity, are the ability to focus, eye teaming and tracking, visual perception, hand-eye coordination, depth perception and peripheral vision. They will also assess the health of the eye and look for any underlying conditions that may be impairing vision. Depending on the problem the eye doctor may prescribe eyeglasses, contact lenses or vision therapy to correct the issue. During the school years a child’s eyes and vision continue to develop and change so it is important to continually check in on your child’s vision. If you have a family history of vision problems, follow-ups are even more important. Progressive conditions like progressive myopia, strabismus (crossed eyes), amblyopia (lazy eye) or astigmatism can be treated and monitored for changes with early treatment so it’s important to seek a doctor’s diagnosis as soon as signs or symptoms are present. Make sure that your child has the best possible chances for success in school and add a comprehensive eye exam to your back to school to-do list.